Fix tool for damaged *.dbx files and Outlook Express folders. Outlook Express Fix Toolbox is designed to recover lost messages from damaged Microsoft Outlook Express folders. Support for all versions of Outlook Express mail client 5, 5.5, and 6. Fix data from files larger than 2GB (Outlook Express 2gb fix). Save recovered data to separate *.EML files. Fix messages that have been finally deleted from the Deleted folder. The Microsoft Outlook Express database fix software support for recovery in batch mode. Fix messages in different formats: plain text, RTF, HTML. 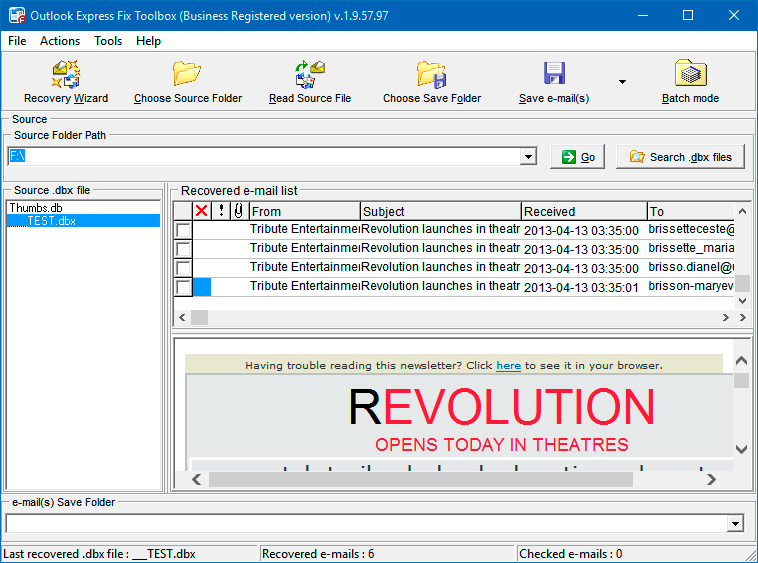 The Outlook Express file fix dbx tool allow to save recovered messages selectively. 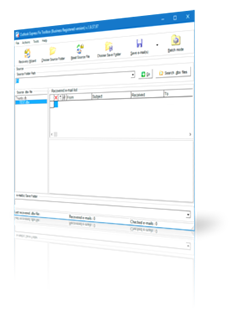 Intuitive interface of Windows Outlook Express fix dbx file software. The Microsoft Outlook Express DBX fix tool extracts messages from damaged *.dbx files and saves them to hard disk. Outlook Express Fix Tool also offers a function to restore messages that have been accidentally deleted from the Deleted folder. Note: The program is not licensed under GNU General Public License (GPL) or GNU Lesser General Public License (LGPL). 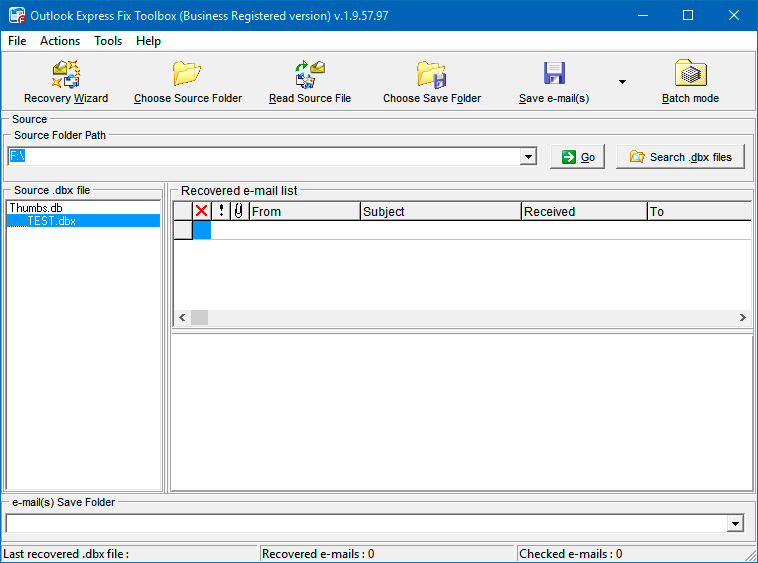 Outlook Express Fix Toolbox is not open source software or a freeware tool. 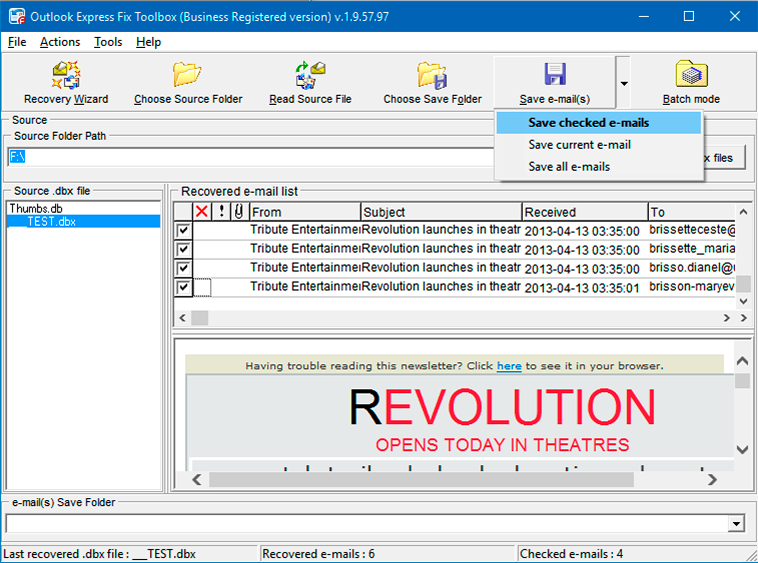 Outlook Express Fix Toolbox is distributed on the try-before-you-buy basis with a free DEMO version. Specifying the path to the corrupted Outlook Express dbx file. Extracting messages from the .dbx file. Check message for futher save. Saving the correspondence extracted from the corrupted Outlook Express dbx file as separate *.eml files.